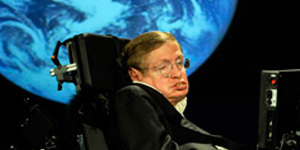 (P2) Physicist Stephen Hawking announced plans to look for alien life. We know that there are billions of habitable planets in our galaxy alone, and there are at least a hundred billion galaxies in space. (P3) Hawking hopes to send out thousands of small spacecraft into our nearest star system. The system is Alpha Centauri and it is 25 trillion miles away. The spacecraft will be able to travel at 20% of the speed of light. That is more than a thousand times faster than current spacecraft, but it will still take 20 years for the spacecraft to get to the star system. (P4) After the long journey, the spacecraft will take pictures. It will take 4 years for the pictures to get back to Earth. The project could take years to develop and there are many chances it may not work. If you saw an alien, what would you do? Is Mr. Hawking’s idea a good or bad one? Explain why? Would you like to travel to another planet? Why or why not?